When it comes to your social media strategy, bigger isn’t always better. You already know that influencer marketing can get you real results (it’s been shown to influence 20 to 50 percent of all purchasing decisions) but it might be time to consider what micro-influencers can do for your business. In contrast to more well-known or celebrity influencers, micro-influencers are everyday social media users with smaller audiences. According to a study by Dr. Jonah Berger (author of the book Contagious: Why Things Catch On), 82 percent of consumers were “highly likely” to follow a recommendation made by a micro-influencer. In the study, an unpaid network of American micro-influencers were surveyed about the brand-related conversations they have compared to a group of average consumers. Berger’s team then measured the weight of these recommendations and the eventual outcomes. Continue reading to find out why micro-influencers are so successful. You don’t need a Kardashian budget to get results with your influencer marketing strategy. While Kim Kardashian reportedly earns around $500,000 per sponsored Instagram post, micro-influencers cost significantly less. Many will even share a post in exchange for a free product or service. Adding to their appeal, HelloSociety, an agency that connects brands with influencers, found micro-influencers are 6.7 times more efficient per engagement than influencers with larger followings. The down-to-earth relatability of everyday people is something huge social media influencers can’t buy. With micro-influencers, “You are spreading the word about your brand through lots of different ‘everyday’ people in a seemingly organic way,” says Melissa Wollard, commercial manager at Fun Kids Radio. “Because they are personally invested in their crafts, micro-influencers are trusted sources of recommendations for followers,” HelloSociety CEO Kyla Brennan explains. Micro-influencers have a genuine interest in the topics they post about—something that comes across in their content. Users with 1 million to 10 million followers earned likes only 1.7 percent of the time. Users with 1,000 to 10,000 followers earned likes at a rate of 4 percent. This clear correlation between follower size and number of likes indicates the power of micro-influencers. In addition to these stats, HelloSociety found micro-influencers have 22.2 times more weekly conversations than the average consumer. Micro-influencers have built followings of highly engaged and interested audience members. Instead of having millions of passive, disengaged followers, a micro-influencer has a community of people who are genuinely interested in their content. The easiest way to find relevant micro-influencers is through a hashtag search on Instagram or Twitter. This will help you find social media users who are already interested in topics related to your industry. For example, if you’re a tile company you could search Instagram for #kitchendesign and look at the top posts. You’ll see the best-performing content from Instagram users who are genuinely interested in the topic. While some of them will be big brands such as Apartment Therapy or West Elm, you’ll also see posts from smaller accounts with a dedicated audience and high engagement rates. These micro-influencers will be more inclined to work with your brand as they’ve shown a genuine interest in a topic related to your industry. Not only that, but they have a dedicated audience of their own who are also engaged. Larger businesses with brick-and-mortar locations can use local micro-influencers to promote their brand. These people can also help smaller businesses connect with their customers on a deeper level. A simple Google search to find bloggers in your area who are active in your industry. A straightforward search with the + operators will do. Try this: [your city name]+[your industry]+“blogger”. Take a look through each influencer’s blog, website, and social media profiles and consider whether their values and style align with your brand’s. Instagram’s location tags. Enter your city or town in the search bar and look at the People, Tags, and Places tabs. Take a look through the top posts, and scan the results for any content that looks relevant to your product or service. Whether you’re a big or small business, localizing your micro-influencer search can help build strong relationships. Your brand’s biggest asset could be in your own list of followers. Your social media followers most likely follow you because they’re genuinely interested in your brand. Go through your existing audience and see if any of your followers have 1,000 to 10,000 of their own followers. If you don’t want to do that manually, you can use a program like SocialRank which will organize your followers by those with the biggest followings of their own. If you want to bypass the manual search completely, there are numerous micro-influencer agencies available. These agencies typically have a database of highly engaged micro-influencers who work with businesses to promote their products or services. Their databases are usually organized by topic or industry so they can find you a micro-influencer that will be most relevant to your brand. While you can search for local agencies through a regular Google search, we’ve found a few digital agencies that can work with your brand, wherever you’re located. Gnack: Works with verified micro-influencers who usually have mainly friends and family as followers so their posts are considered more trustworthy. BzzAgent: Has over 230,000 influencers on-hand and over 29 million interactions to-date. Influenster: Influenster is a service I am signed up for as a micro-influencer myself. The service connects brands with social media users who provide product reviews after receiving official samples. I receive a sample once a month, and am asked to review the product on the brand’s site and share my review through my own social channels. PostForRent: This “marketplace for influencers” helps brands connect with relevant influencers of all sizes, and manage their relationships with these social media users. Through the right micro-influencer agency, you can find the perfect people to work with your brand. They are relevant to your business and brand voice. Don’t choose a micro-influencer simply because you like the way their Instagram account looks—make sure they actually have an audience that would be interested in your business. They have quality engagement habits. It’s important that you not only look at the quantity of followers a user has but the quality of their social media interactions. For example, pay attention to how the micro-influencer responds to comments on their posts or how they participate in Twitter conversations. Something to keep in mind when sending freebies is that the recipient does not ‘owe’ you anything simply because you’ve given them something. The freebie is a way of establishing a professional relationship with the micro-influencer, and a way of boosting positive sentiment surrounding your brand. When it comes to micro-influencers, relationships are everything. During the process of contacting and building a relationship with a hired micro-influencer, it’s important to be transparent with the details of your transaction. Before you launch the campaign, discuss your business goals with the micro-influencer. Setting achievable goals will allow a micro-influencer to show you the kinds of results you can expect to ensure you’re both on the same page. Provide a brief to your micro-influencer that outlines your goals, the details of your campaign, key messaging, deliverables, any major don’ts, and any other areas you feel need to be addressed. Remember: micro-influencers aren’t celebrities with teams of people helping them out, so the more information you can provide the better. For more tips on how to work with influencers—micro or otherwise—be sure to check out our definitive guide to influencer marketing on social media. Even though many brands have access to big budgets and celebrity endorsements, they have turned to micro-influencers for business success. 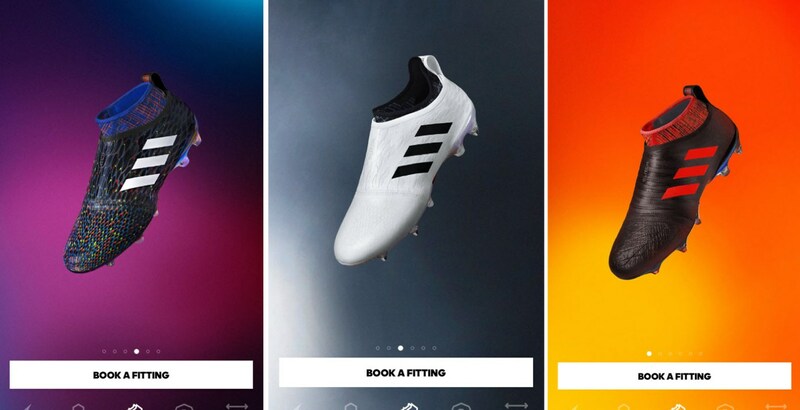 Adidas has numerous star athletes in their roster of endorsements, but for the launch of Glitch—an app where soccer fans can test and buy their new line of shoes—they turned to the power of micro-influencers. This campaign was a huge success and the new line of shoes became one of the most coveted products among soccer fans. “It was interesting to see how they [the original micro-influencers] established ownership of the concept, and that’s one of the things that triggered a lot of the decisions around making it an invite-only community and allowing them to spread the access themselves,” explains Marc Makowski, Adidas’ director of business development. Watch brand Daniel Wellington turned to micro-influencers for one of their recent campaigns. Instagram users were given the chance to be featured on Daniel Wellington’s official account (with 3 million followers) in exchange for posting content featuring their watches. Micro-influencer Tiffaney Lau posted a photo with Daniel Wellington’s #DWPickoftheDay hashtag along with the unique discount code she was given. Her photo received over 500 likes and 40 comments—an engagement rate of over 13.7 percent. Preppy footwear brand Sperry worked with over 100 micro-influencers who were posting images of their products on Instagram. “They might have posted about the brand once or twice, and we just loved the power of their content,” explains Justin McDonald, digital marketing specialist at Sperry. To incorporate this user-generated content into their campaigns, Sperry worked with Curalate Explore and built relationships with the owners of the photos. One such photo, from Instagram user Slava Daniliuk, became Sperry’s most engaged-with post of the year. The power of micro-influencers is something brands can no longer ignore. By focusing on quality over quantity, businesses can expect to boost their success with content that truly resonates with their audience. Just remember—size isn’t everything. Use Hootsuite to work closely with micro-influencers. Try Hootsuite today.